It would be great to have films in so many festivals that one would have to pick and choose which ones to attend. Not the case so far, but it was wonderful to have my short Rooftop Serenade selected for the Extremely Shorts Film Festival in Houston, Texas. Aurora Pictures is a great and dedicated group of film makers/producers/exhibitors/ enthusiasts who are doing important work to keep the spirit of film art alive. The breadth of quality filmmaking that made up the screenings, all selected by guest curator Jolene Pinder of the New Orleans Film Festival, was remarkable. Stop-motion and 2D animation, poetry, slices of real life, quirky, sad and funny narratives, funny twists, good music, social critique – 80 minutes of unconventional and totally satisfying film viewing. 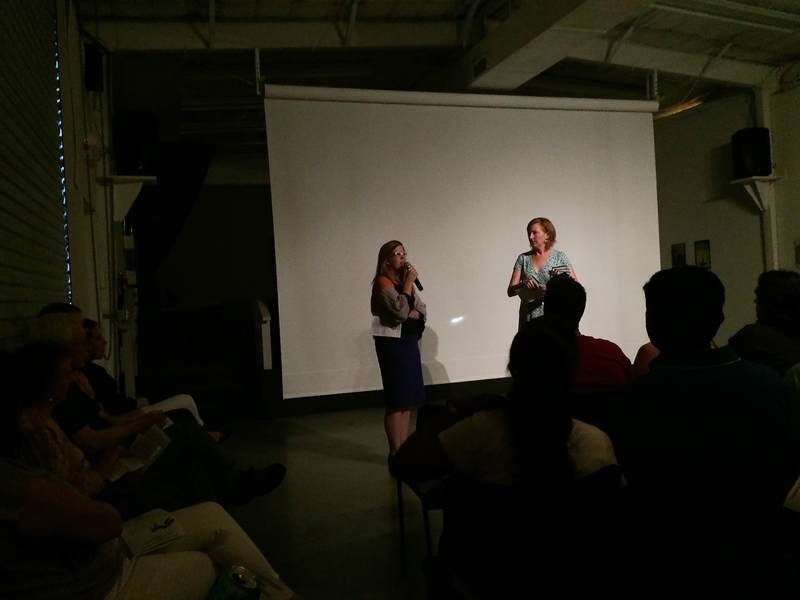 And it was a smart and appreciative audience – after each evening’s screening Mary Magsamen, the creative director of Aurora, invited the filmmakers in attendance up to ask questions, joined by Ms. Pinder. It was fun to be part of this young, select group and to answer questions during the Q and A and afterwards (there was a lot of interest in the fact that my film was shot and cut on 16mm film). 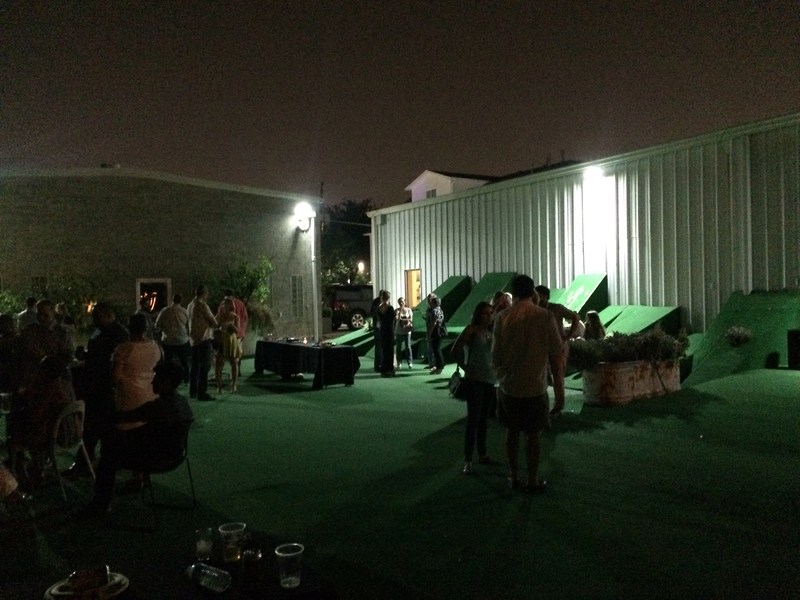 And Houston was fun to explore – everyone drives but the mass transit is civilized, runs on time, and affordable. Excellent museums (the Menil Museum and the Rothko Chapel are next to each other and not to be missed), good food, and a bridge in the middle of the city where thousands of bats sleep and emerge from every dawn. After Screening gathering at Aurora Picture Show. Beer, Pizza, good film talk. 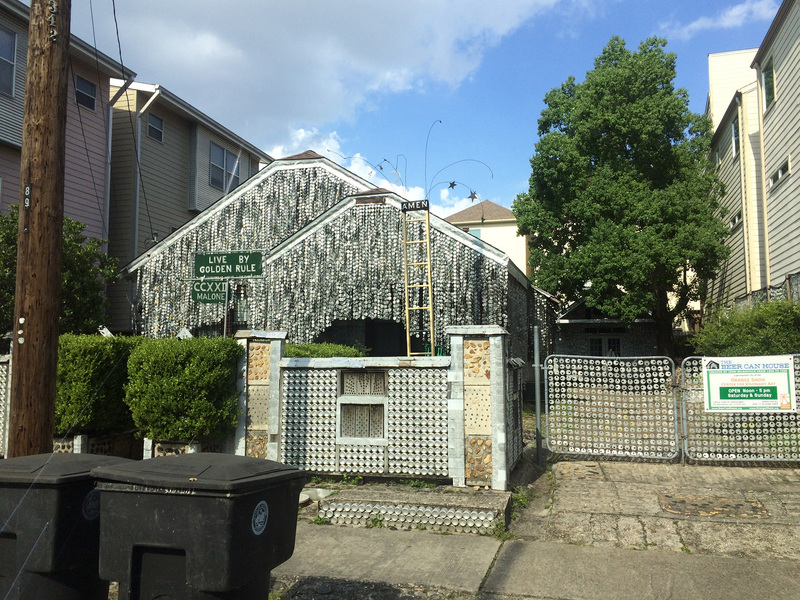 This is a Houston house made from beer bottles, cans, and lids. It has Quasi-landmarked status. Judge Jolene Pinder and Creative Director Mary Magsamen introduce the festival. 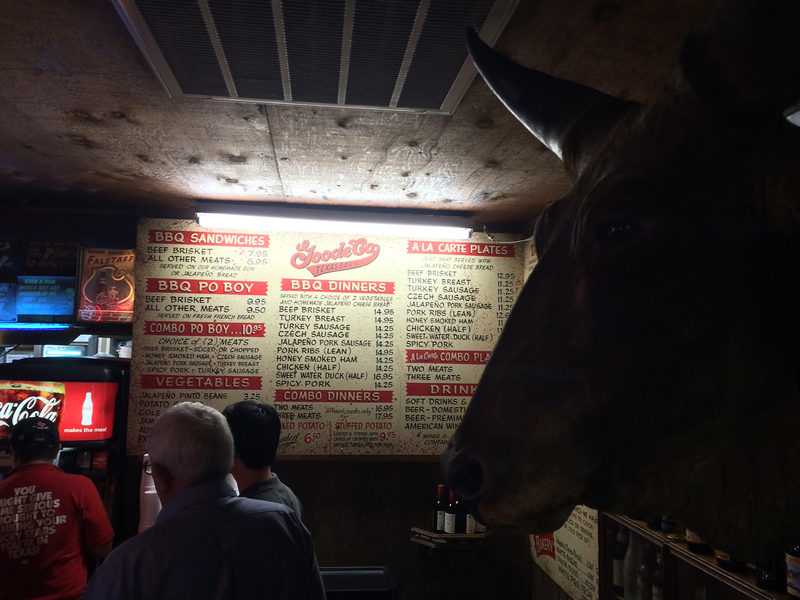 Just down the road from the Aurora Picture show is Good Co. BBQ! This entry was posted in The Filmmaker's Perspective and tagged Aurora Picture Show, Rooftop serenade, Short Film Festival by Thomas W. Campbell. Bookmark the permalink.